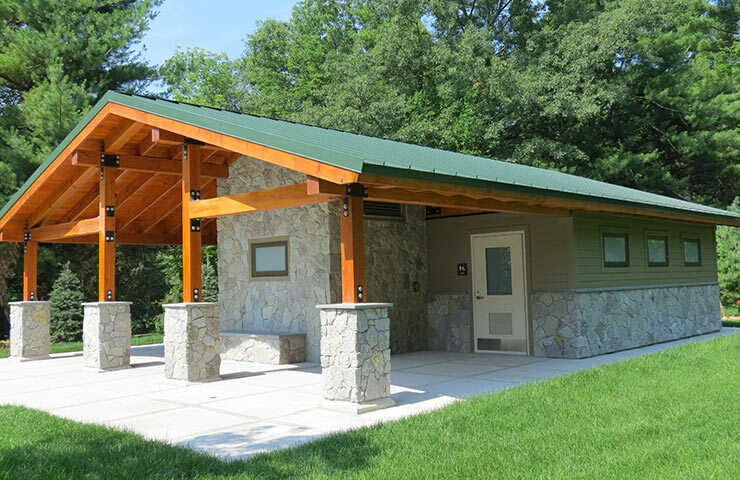 Lake Taghkanic State Park Comfort Stations - Hoosick Valley Contractors, Inc.
HVC performed the brand new construction of two comfort stations for the Lake Taghkanic State Park. 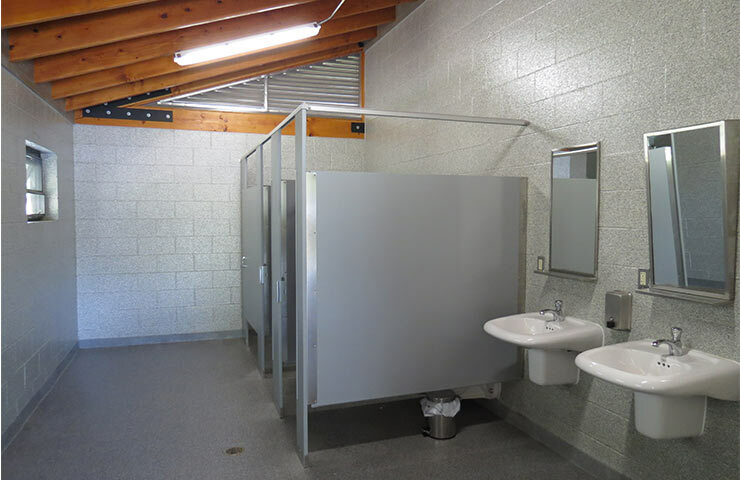 The project also included the demolition and associated site work to remove the old comfort stations. 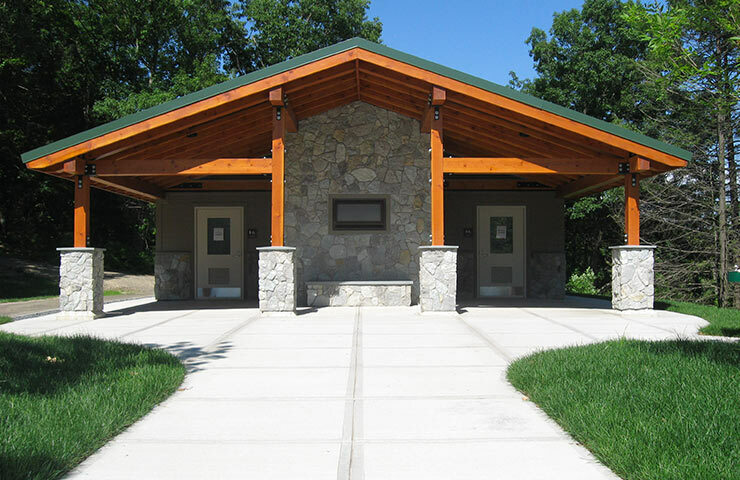 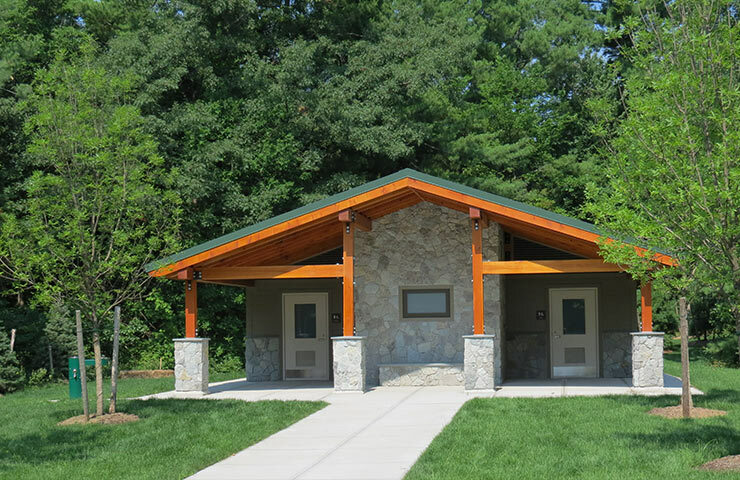 The new buildings design incorporated wood and stone elements which resulted in a modern rustic look, blending nicely with the feel of the park, located in the majestic rolling hills of Columbia County.